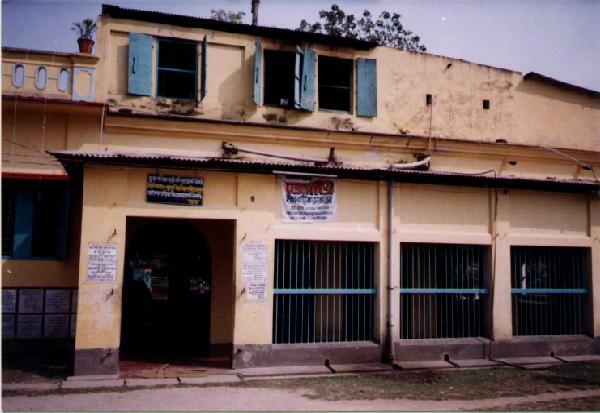 Pictures 1 & 4: The building attached to the Gambhira Temple that extends northward. 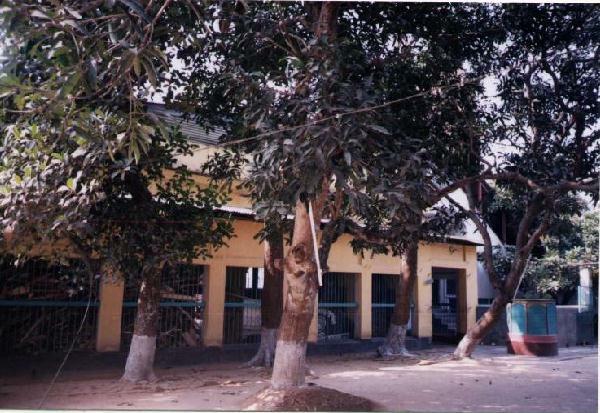 Both these pictures are taken from the northwest section of the ashram with the tall leafy and shady trees that highlight the background (the entire northwest section). 24-hour kirtan thoughout the year continues om from within this building. Picture 2: This is the Gambhira section of the kirtan building. The south section continues to the Gambhira with the entrance/exit door to the left. On the second floor, the cooking of everyday or special ceremony 'bhogs' (prasads) is done. The open windows indicate where the cooking takes place. 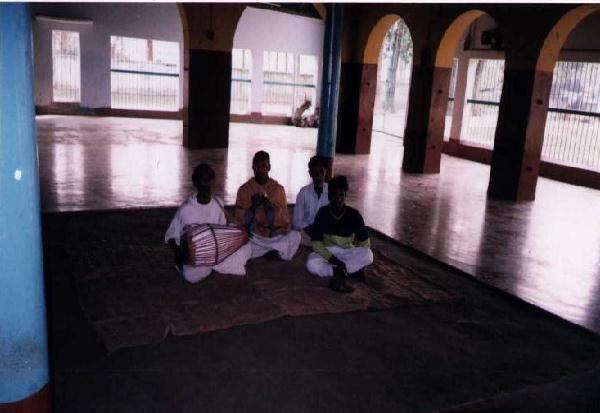 Picture 3: This is where the kirtan singers sing their incessant kirtan located within the kirtan building. Any time (dawn, morning, noon, afternoon, dusk, evening, night, midnight or past midnight into the early hours of morning before dawn) and any day or season there is always some kirtan singers here continuing on their 'Harinam Sankirtan'. 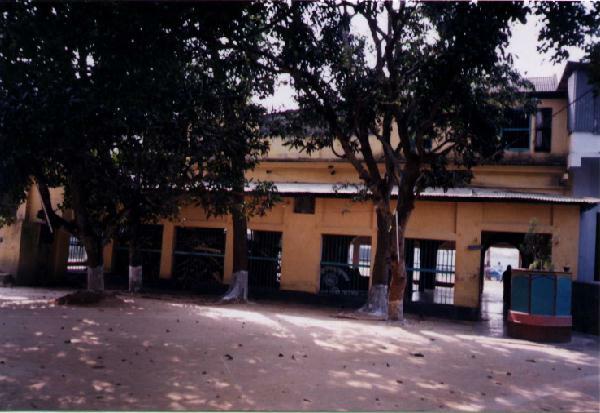 Bandhusundar had directed his devotees to endlessly continue on with Harinam in the Sri-Angan premises. This kirtan has been continuing on without cessation since 1921 when Bandhusundar made an end to his life of Lila.